Posted April 3, 2014 by Staff Writer & filed under City Hub. 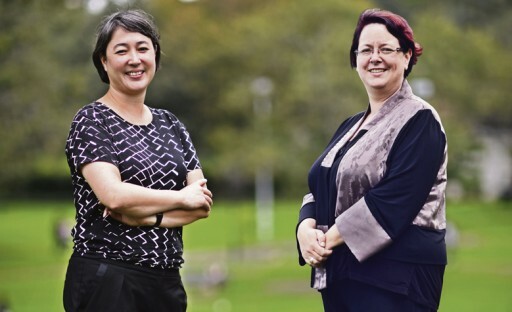 Labor’s Penny Sharpe and the Greens’ Jenny Leong have both identified affordable housing as a priority issue for the seat of Newtown ahead of next year’s state election. Ms Sharpe, a sitting member of the upper house, won Labor’s community preselection at the weekend with 64 per cent of the branch vote and 58 per cent of the open community vote. About 1500 voted in the preselection, from a possible 50,000, to elect Ms Sharpe ahead of candidates Sean Macken and Natalie Gould. Ms Leong was preselected the previous weekend, narrowly defeating former Marrickville mayor Fiona Byrne. Among the local issues she wants to tackle are affordable housing, inaccessibility of train stations, demands on working women and a lack of child care availability. Ms Sharpe said that while she recognises the need for some development in the inner-city, social and community considerations need to receive sufficient attention. “For Sydney to be a sustainable and global city, it can’t just continue to expand on the margins. That necessarily means that increased density is a part of it,” she said. Ms Sharpe wants to revisit the issue of the proposed light rail path down Devonshire Street in the north-eastern corner of the electorate, and said the state government has not fully investigated the underground alternatives. She welcomed the opening of the inner west light rail extension but said the government’s failure to deliver the GreenWay is “a lost opportunity”. Among the three major issues on which Ms Leong will focus is removing abortion as an offence under the Crimes Act. “A woman’s right to choose is a fundamental human right,” she said. Ms Leong said the state has been moving backwards with attacks on civil liberties and an increase in police powers. She is taking aim at is the O’Farrell government’s lockout laws and the suite of measures that accompanied them, such as mandatory sentencing and last drinks. “People in Newtown love living in a vibrant city,” Ms Leong said. Formerly the crisis response campaign coordinator for Amnesty International, Ms Leong is also supporting upper house Greens member John Kaye’s push for a transition to 100 per cent renewable electricity in NSW. Ms Leong was generally seen as a slightly more conservative candidate than Greens rival Fiona Byrne, who was tainted by her support for the boycott, divestment and sanctions (BDS) campaign against Israel. Ms Sharpe is from Labor’s left faction, and both candidates share policy goals in many areas. For Ms Leong, the difference is one of authenticity. “Having a really strong progressive voice to represent the people of Newtown in state parliament, that can stand up for the things that people in Newtown actually support and believe in, is a way for us to start setting the agenda,” she said. But Ms Sharpe, currently the shadow transport minister, said Labor is the party which can form government and deliver tangible results for Newtown. “I’ll be a senior member of the team. I’ll be at the decision making table,” she said.